759. The following will be read to the command on the 10th of November, 1921, and hereafter on the 10th of November of every year. Should the order not be received by the 10th of November, 1921, it will be read upon receipt. (1) On November 10, 1775, a Corps of Marines was created by a resolution of Continental Congress. Since that date many thousand men have borne the name “Marine”. In memory of them it is fitting that we who are Marines should commemorate the birthday of our corps by calling to mind the glories of its long and illustrious history. (2) The record of our corps is one which will bear comparison with that of the most famous military organizations in the world’s history. 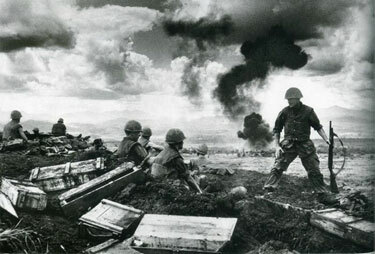 During 90 of the 146 years of its existence the Marine Corps has been in action against the Nation’s foes. From the Battle of Trenton to the Argonne, Marines have won foremost honors in war, and is the long eras of tranquility at home, generation after generation of Marines have grown gray in war in both hemispheres and in every corner of the seven seas, that our country and its citizens might enjoy peace and security. (3) In every battle and skirmish since the birth of our corps, Marines have acquitted themselves with the greatest distinction, winning new honors on each occasion until the term “Marine” has come to signify all that is highest in military efficiency and soldierly virtue. (4) This high name of distinction and soldierly repute we who are Marines today have received from those who preceded us in the corps. With it we have also received from them the eternal spirit which has animated our corps from generation to generation and has been the distinguishing mark of the Marines in every age. So long as that spirit continues to flourish Marines will be found equal to every emergency in the future as they have been in the past, and the men of our Nation will regard us as worthy successors to the long line of illustrious men who have served as “Soldiers of the Sea” since the founding of the Corps. Captains Nicholas and Mullens, having been tasked by the 2nd Continental Congress to form 2 battalions of Marines, set up the Corps’ first recruiting station in the tavern. The first likely prospect was, in typical recruiters fashion, promised a “life of high adventure in service to Country and Corps”. And, as an extra bonus: If he enlisted now he would receive a free tankard of ale…. The recruit gladly accepted the challenge and, receiving the free tankard of ale, was told to wait at the corner table for orders. The first Marine sat quietly at the table sipping the ale when he was joined by another young man, who had two tankards of ale. The first Marine looked at the lad and asked where he had gotten the two tankards of ale? The lad replied that he had just joined this new outfit called the Continental Marines, and as an enlistment bonus was given two tankards of ale. One Feedback on "US Marine Corps Birthday"
Semper Fi and Happy Birthday! You’re the best.